It's fun to blog. But even with all the cool layout design and gadgetries on their blogs, some people encounter this problem at some point: what to write about. Sure it's nice to talk about your dog or cat, but people are more interested on stuff that matters. 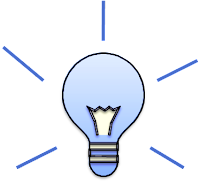 You need to know where to get the inspiration needed to blog. 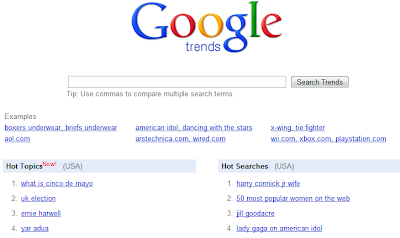 If you want to know what people are googling these days, visit Google Trends. There you can check which topics are the most searched over a given time. You can even compare search terms and view what countries (even cities) and languages they're trendy. Knowing what the world is interested gives you an edge over others on what to talk about. Similary, Google also has the Keyword Tool which you can use to actually see the volume of global (and local) monthly searches of the terms you put. Read local and international newspapers and look for news that interests you. When you find one, you can at least post on your blog your personal view regarding the matter. Similarly, visit your friends' blog and social networks and talk about anything. This helps 'lighting that bulb' above your head. Try reading back your old posts. You might have something you haven't mentioned on that topic. Don't hesitate to check if there's something new to talk about and post an update. Lastly, go out and live your life. Experience don't automatically arrive on your doorsteps. Blogs are basically diaries on your website. Therefore in order to frequently update this journal, you need some ideas which you can always get outside your home. There are more ways to keep yourself busy on blogging. Read Sarah Harris' version of how to keep blogger's block at bay and Nile Flores' where to find inspiration in order to overcome blogger's block.